Handmade Mala Tassel, ready to go, just attach to your Mala necklace or project. Great source of protection or use in meditation. 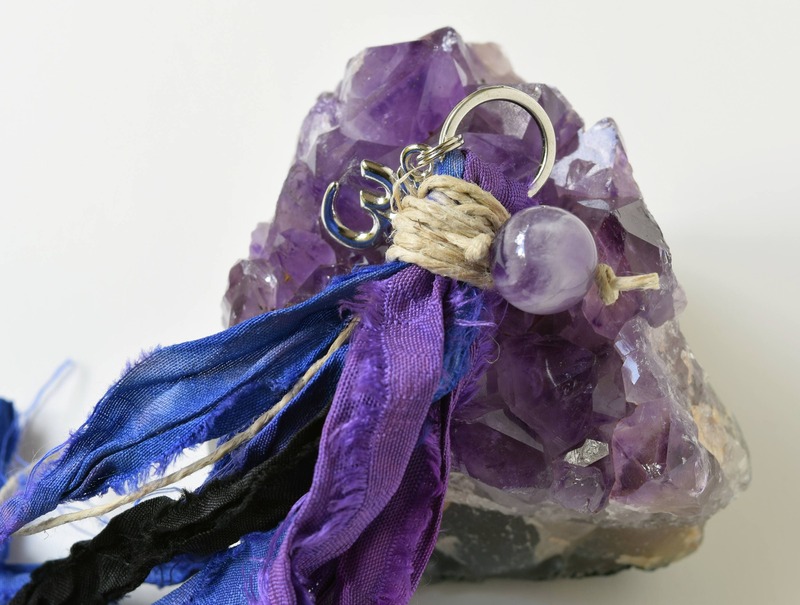 Amethyst bead and Ohm symbol charm. Blue and Purple Recycled Sari Silk. Silver plated ring. 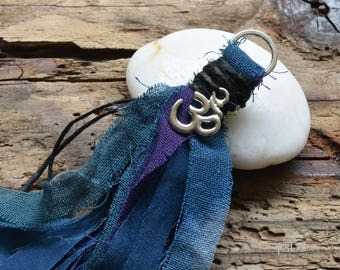 * Amethyst bead and Silver plated Ohm symbol charm. *The Ohm / Om symbol represents the consciousness of the Universe. Om in meditation attunes us with the cosmic vibration. 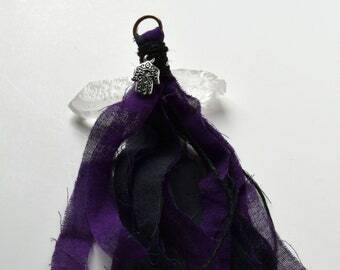 *Amethyst is the stone of spirituality and contentment; Peace. Please see my policies for care of jewelry. Ships via USPS First Class with tracking.